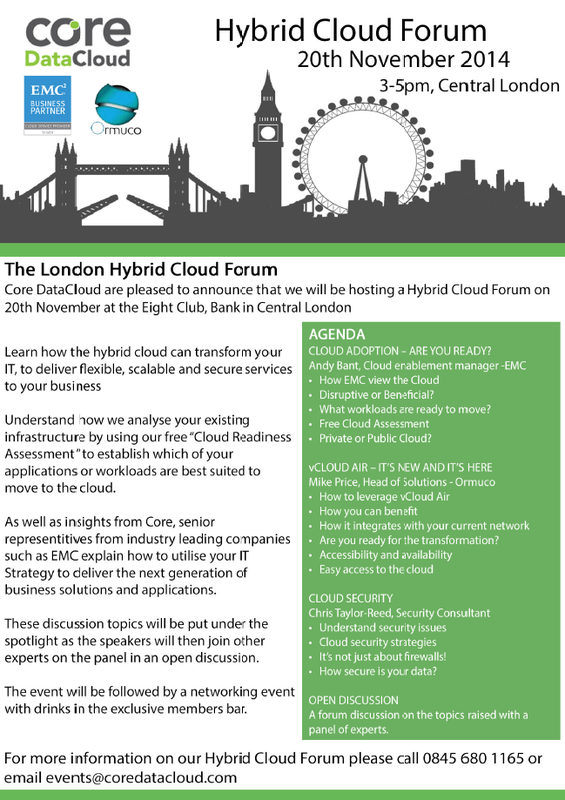 Core are pleased to announce we will be hosting a Hybrid Cloud Forum on 20th November at the Eight Club, Bank. Speakers from some of our partner organisations, including EMC will give their perspective on the hybrid cloud model, trends in the market, adoption strategies and its advantages. These speakers will then join other experts on a panel to host an open discussion aimed at providing advice and perspective to the audience. The event will be followed by drinks and a couple of games of pool in the exclusive members bar. Contact Core today to reserve your place!